Two different schools (A and B) have the same number of pupils. The ratio of the boys in school A and the boys in school B is 2:1 and the ratio of the girls in school A and the girls in school B is 4:5. Find the ratio of the boys in school A to the girls in school A. Please show your working out, record your name and room number on your entry. This draw with be made on Thursday morning next week. Remember to include your name, room number and working out on your entry form. Good Luck. A chest with golden coins weighs 200 kg. Once the pirates pay exactly a quarter of the money to the government for taxes the chest weighs 170 kg. How much does the empty chest weigh? Reuben has an average of 70 on four different assessments. If the lowest score is dropped, his average rises to 90. What is his lowest score? Remember to include your name, room number and working out on your entry form. Draw will be made next Tuesday. Good Luck. Mrs Scott was working out petrol costs for the AIMs trip. On Monday petrol cost $1.50 per litre. On Tuesday the price increased by 10%. On Wednesday it came down by 5 cents. On Thursday it came down by 5%. On Friday it increased by 4%. What was the price on Friday? Remember to include your name, room number and working out on your entry form and place in the competition box before the end of lunch THIS FRIDAY. Good luck. Alana, Jessie and Amy shared a whole pizza between them. Alana and Jessie each ate 30% of the pizza and Amy’s part weighed 80 grams. How heavy was the pizza? Tasman and Jasper race to the top of an 80 step staircase. Tasman gives Jasper a 15 step head start. Jasper covers 2 steps at a time and Tasman covers 3 steps at a time. Who will reach the top first? A triangle has a perimeter of 80 cm. Two of its sides are equal and the third side is 8 cm more than the equal sides. What is the length of the third side? Remember to include your name, room number and working out on your entry form and place in the competition box before 8.40am on Monday morning. Good luck. Two cars are driving around a 2km track. One car completes a lap every 70 seconds and the other car every 60 seconds. How long will it take for the fastest car to be one lap ahead? Connor and Douglas were paid $135 to fence the paddock. Connor started at 7am and Douglas started at 10am. They finished at 1pm. What share of the money should Douglas receive? Erin has 42 identical cubes, each with 1 cm edges. She glues them together to form a rectangular solid. The perimeter of the base is 18 cm. What is the height of the rectangular solid? Remember to include your name, room number and working out on your entry form and place in the competition box before 8.40am on TUESDAY morning (as you will all be enjoying a long weekend). Good luck. Mr Quate is the proud owner of 5 cats. Last week he took photos of them, with 3 cats in each photo. If he took one photo of every possible choice of 3 cats, how many photos did he take? Amy, Bailey, Jessie, Savannah and Alana are friends that live in five houses next to each other on the same side of Challenge Street. Alana lives next to Savannah but not next to Jessie. Bailey lives next to Jessie. There are two houses between Amy and Alana. In what order are their houses? am a 2 digit number (AB) divisible by 7. When written backwards (BA) I am divisible by 9. Here is the Math Mind Mover for this week. Please remember to include your first name, last name and your working out on your entry form and have it into Mrs Polly before Monday morning's assembly. In the holidays Caitlin went to the South Island. While travelling on the Tranz Alpine train from Christchurch to Greymouth, Caitlin passed a sign saying ‘Greymouth 130 kilometres’. After the train had travelled another 25 kilometres, Caitlin saw another sign saying ‘Christchurch 120 kilometres’. How far is it by train from Christchurch to Greymouth? Alana can cycle at 32km per hour, run 8km per hour, and swim 4 km per hour. She entered a 30 km triathlon. During it, she cycles for 45 minutes and runs for 30 minutes and swims for the remaining time. For how many minutes does she swim? Anaru, Kingshouse, Izayah and Meytel decided to share a park bench (which seats people in a row). How many different seating arrangements are possible, if Anaru and Kingshouse sit together and Izayah and Meytel sit together? Remember to show your working out and include your name and room number on your entry form. Mrs Polly will draw out a winner at the beginning of our 8.40 Assembly on Monday morning. Good luck. On the ‘slow’ setting, a fan rotates 100 times in one minute. The rate of rotation doubles on the ‘medium’ setting, and doubles again on the ‘high’ setting. How many times will the fan rotate in 15 minutes on the ‘high’ setting? The AIMS basketball team held a car wash to raise funds. Customers either had a basic wash, which cost $7, or a wash and shine which cost $11. The team raised a total of $241. What was the smallest number of customers they could have had? Remember to show your working out, name and room number on your entry and ensure it is in the office prior to our Monday morning assembly for the chance to win. Good luck. The number 6 has four factors (1, 2, 3, and 6). The number 16 has five factors (1, 2, 4, 8, and 16). What is the largest number less than 55 which has exactly 3 factors? Remember to show your working out, name and room number on your entry and ensure it is in the office prior to our Monday morning assembly for the chance to win. Good luck. The Lineham family have four pets: a rabbit, a budgie, a dog and a cat. Two pets are male and two are female. The names of the pets are Feisty, Grubby, Happy and Inky. The rabbit and the cat recently gave birth. The rabbit is younger than Happy but older than Feisty. Feisty is female and Happy is older than the dog. Inky likes to have his head rubbed. What are the names of the budgie and the dog? Remember to show your working out, name and room number on your entry and ensure it is in the office prior to our Monday morning assembly for the chance to win. Good luck. A thief ran out of the bank and set off on bicycle for the airport, pedalling at 21 km/ph. Eight minutes later the Police-car started the chase, travelling at 80 km/ph, and caught up with the thief 7 km from the bank. How far is it between the Police Station and the bank? Remember to show your working out, name and room number on your entry and ensure it is in the office prior to our Monday morning assembly for the chance to win. Good luck. 12 is the largest number of people that can sit around a square table. What is the largest number of people that can sit around three similar tables when they are pushed together to make one large rectangular table? Remember to show your working out, and include your name and room number on your entry. Good luck. The school netball team won only 2 of their first 7 games, but they won all of their remaining games. At the end of the season they had won exactly half of all their games. How many games did the netball team play in total? Remember to show your working out, and include your name and room number on your entry. Good luck. Mrs Blackwood has a new feature book shelf in the school library. It stores 120 books. There are 20 more hardback books than paperback books. How many books are hardback. Remember to show your working out, and include your name and room number on your entry. Good luck. Solution: If there were the same number of paperback and hardcover books, then this number would be half of 120 = 60. If we increase the number of hardback books by 10 then we must reduce the number of paperback books by 10, giving 70 and 50, with a difference of 20 books. Mrs Smith is redecorating her new office. One rectangular wall of Mrs Smith’s office contains a door and a window. Mrs Smith wants to paint this wall, but not the door or the window. The wall is 7m by 3m, the door is 2m by 1m, and the window is 2m by 1.5m. If each can of paint covers 4m squared, how many cans of paint will Mrs Smith need to buy for one coat of paint? Solution: The wall has a total area of 7 x 3 = 21 m squared. In order to find the area to be painted, we need to subtract from this the area of the door and the window. The door has an area 2 x 1 = 2m squared, and the window has an area 2 x 1.5m = 3m squared. So the area to be painted is 21 - 2 - 3 = 16m squared. Each can of paint covers 4m squared so Mrs Smith will need 4 cans. 16 divided by 4 = 4 cans. Remember to show your working out, and include your name and room number on your entry. Good luck. The area of a square is 64 square centimeters. A rectangle has the same perimeter as the square. The length of the rectangle is three times the width. What is the area of the rectangle in square centimeters? Visitors to our last opening evening at Tamatea Intermediate had to guess the number of jelly beans Mr Sye had in a jar. Prizes were awarded on ho lose the guesses were to the exact number. The first prize went to Gareth who guessed 125 jelly beans, second prize went to Jack who guessed 140 jelly beans, third prize went to Alyzay who guessed 142 jellly beans, and fourth prize went to Amelie that guessed 121. How many marbles were in the jar? Remember to show your working out, include your name and room number and enter before our Assembly on Monday morning. Good luck. A Yummy Wheat cereal packet measures 25 cm by 30 cm by 5 cm. What is the largest number of packets that can be put inside a carton which measures 1 m by 1.5 m by 0.5 m? The students at Tamatea Intermediate School have been getting sick with the flu recently. A week ago 20 learners at the school had the flu and 80 were healthy. Since then, 10% of those with the flu have got better, but 25% of the healthy learners have become sick with the flu. How many learners at the school now have the flu? Joshua's bicycle has 18 spokes evenly placed around each wheel. What is the angle (in degrees) between two spokes? In a pizza eating challenge, Bevan ate a total of 120 pizzas in 6 hours. Each hour, 5 less were eaten than during the previous hour. How many pizzas did Bevan eat during each of the 6 hours? Solution: Using guess and check is a great way to use your prior knowledge and work from a realistic starting point. It is easier if you record your thinking in a table as it helps to organise your thoughts and track your equations. A signwriter has to paint the numbers 1 to 200 on a new set of private boxes. How many digits will the signwriter have to paint? If a box half full of apples weighs 18 kg, and the same box with ⅓ of apples weighs 14 kg, what does the box weigh when it is empty of apples? Solution: The box plus half the apples weigh 18 kg, while the box plus a third of the apples weigh 14 kg. So by using subtraction, we eliminate the weight of the box and ½ - ⅓ = 3/6 - 2/6 = ⅙ of the apples weigh 18kg - 14 kg = 4 kg. Therefore, the total weight of the apples alone is 24 kg. So half the apples weigh 12 kg and the weight of the box is 18 kg so 18 kg - 12 kg = 6 kg. During the holidays, Reed went to the Gypsy Fair. At one of the stalls, nine cans are stacked on a bench in three piles of three as shown below. In the competition, you are allowed three shots and each shot must dislodge just one can. For the first can to fall, you score the number shown on the can. For the second you score double the number and for the third, three times the number. To win a prize the total score for all three shots must come to exactly 50. Which three cans should you aim for and in what order should you try and topple them? Max has red, blue, yellow and green shirts, and red, blue, brown and grey trousers. He plans to wear two different colours to a party. In how many ways can he dress? What is the area of rectangle R? Solution: This problem required you to look for patterns within the problem we had. Two facts were hidden for you. i) Each rectangle in the second row has an area 3 times the area of the corresponding rectangle immediately above it in the first row. ii) Each rectangle in the 3rd row has an area twice the size of the corresponding rectangle immediately above it in the second row. Across 1. A number divisible by 7. Solution: This proved to be a really tough one with only a few correct entries for the whole school! Here is the solution . . . Since 3 Across is 30 less than 2 down, it cannot exceed 69. Also, since it is 32 more than one down, it cannot be smaller than 42. So the first digit must be 4 or 5 or 6. After a lolly scramble, Avalon, Leia and Amy compared how many sweets they each had. Avalon had 3 times as many as Leia. Leia had 5 less than Amy and Amy had 7 less than Avalon. How many sweets did the 3 girls have all together? Solution: This needed a little bit of 'Guess and Check' to solve. We knew that we had to know our 3 times tables to solve it and based on Avalon having 3 times more than Leia, remembering that Amy had 7 less than Avalon and Leia had 5 Less than Amy. Skylah's mother asked her to do the dishes. She put in the plug and then turned on the hot tap. She noticed that it took 3 minutes to fill the sink up to the top. When she finished the dishes and pulled out the plug it took 4 minutes for the sink to empty. If the sink is empty, how long will it take to fill if she turns on the hot tap but forgets to plug the drain? Solution: If it takes 3 minutes to fill the sink the tap fills 1/3 of the sink per minute. If it takes 4 minutes to drain the sink, 1/4 of the sink is drained in one minute. So if the tap is on and the drain is unplugged, then in one minute 1/2 or 4/12 is filled but 1/4 or 3/12 is drained. So 1/12 is actually still filled. Therefore it will take 12 minutes for the sink to fill completely. In Tyler's class there are 17 girls and more girls than boys. One day, when there were 2 learners away, the teacher divided the class evenly into groups of 5. Another day, when there were 3 learners away, she divided the class evenly into groups of 4. How many learners are there in Tyler's class? 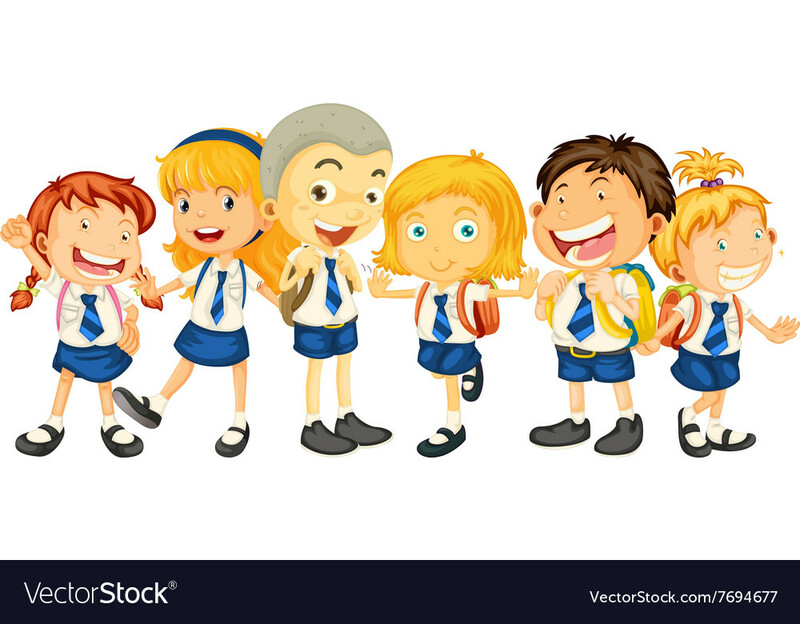 ii) The number of children in the class gives a remainder of 2 when divided by 5 and a remainder of 3 when divided by 4. The numbers between 17 and 33 that give a remainder of 2 when divided by 5 are 17, 22, 27 and 32. Of these, the only one giving a remainder of 3 on division by 4 is 27. Therefore there are 27 in Tyler's class. Dylan can row his boat at 9km per hour in still water. However, the river in which he is rowing has a current that flows at 3 kilometers per hour. Dylan rows 6 km downstream, then turns and rows back upstream to his starting point. How much time does the whole trip take? Solution:Dylan's speed downstream is his speed in still water plus the speed of the current. That is 9 + 3 = 12 km/ph. It takes him 1/2 an hour to row the 6 km downstream. Going back upstream, his speed is his speed in still water minus the speed of the current. That is 9 - 3 = 6 km/ph. So it takes 1 hour to row the 6 km upstream. Therefore together is takes 1 1/2 hours (90 minutes) for Dylan's rowing trip. Great to see so many giving these a go! Good luck for the challenge this Thursday. Max bought a can of coke and an apple for his lunch. These two items cost a total of $1.25. The coke cost four times as much as the apple. How much did the apple cost? Solution:The total cost of the coke and apple was $1.25. Since the coke cost 4 times as much we must divide the total cost by 5 to get the cost of the apple. Either way, the cost of one apple is 25 cents. A number is called a palindrome if it reads the same forwards and backwards. For example, numbers such as 121 or 32123 are palindromes. The odometer on a car (which measures how far the car has travelled) shows a palindrome below. What number will be the next palindrome to appear on the odometer? Solution: If we change the last 3 in the units position to a 4 (or more), we must also change the first digit on the left to the same number, so we get 45954 or higher. That makes the entire number larger by at least 10, 000, so we are best to keep the last 3 unchanged. If we were to also keep the two 5's fixed and change the 9 to some other digit it would end up being smaller than the original number which would mean the odometer is going backwards and that is not possible! 120 Students at Tamatea Intermediate had to vote for a House Captain that was chosen from 4 Learners. Arihia was 7 votes ahead of Jack, 11 votes ahead of Ateisha, and 14 votes ahead of Stevland. How many votes did Arihia get? Solution: The easiest way to solve this problem was to make a guess and adjust our thinking. Because we knew there were 4 people and 120 votes, we could start our thinking at 30 votes each. (4 x 30 = 120) Since they can't have 30 votes each, and Arihia got the most, a good place to start was giving Arihia 40 and then working backwards.